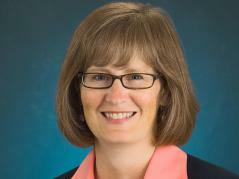 URBANA, Ill. – Shelly Nickols-Richardson has been named Interim Associate Dean and Director of Extension within the College of Agricultural, Consumer and Environmental Sciences (ACES) at the University of Illinois. “Dr. Nickols-Richardson brings a tremendous amount of administrative leadership experience to this role, which will serve well as she works closely with all of us to evolve the Extension enterprise to the next level of excellence,” says Kim Kidwell, dean of the College of ACES. In addition to serving as the head of the Department of Food Science and Human Nutrition (FSHN) for the past five years, Dr. Nickols-Richardson served as a member of the Extension 3.0 Task Force, which familiarized her with many of the opportunities and challenges Extension is facing. As the head of FSHN, she also had the opportunity to work with Extension faculty and staff on a regular basis. While Nickols-Richardson is serving in this interim role, Nicki Engeseth, a professor in the Department of Food Science and Human Nutrition, has agreed to serve as the acting department head of FSHN. Having served in the interim head role several years ago, Engeseth brings experience and a deep understanding of the department to this role. Nickols-Richardson and Engeseth will assume their new duties and responsibilities on March 1. Nickols-Richardson will succeed George Czapar, who will be retiring on March 1 as Associate Dean and Director of Illinois Extension. Czapar has served in this role for the past five years, activating the reorganization of Extension in an extremely challenging budget climate.